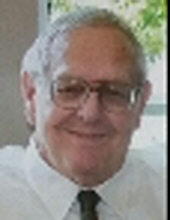 Gary Arnold Nelson passed away peacefully on Monday, April 1, 2019. Born July 18, 1939 in Mobile, AL, Gary was the son of the late Arnold Olaf Nelson and the late Willie Mae Davidson Nelson. He graduated from Murphy High School and attended Spring Hill College and Howard College. He married Julia Murrell Wheeler in 1961 and they were married for 45 years until her death in 2006. Gary served in the Army and Air Force Reserve and had a long career in sales before retiring. He was a loving and proud father and grandfather and will be remembered for his quick wit and sense of humor. He enjoyed the simple things in life: good coffee, reading, music - especially Frank Sinatra, birdwatching, shrimp boils and good BBQ, discussing history, cheering for Auburn, his cat - Callie, family and friends - all of which brought him great joy. He was happiest during holidays when the house was full of family. Gary was an excellent storyteller, entertaining family with tales from his childhood Rickarby Park days, shenanigans as a young man, summers playing baseball in Coffeeville, AL, and other fond memories. He felt very fortunate to have remained close with many of his Rickarby Park “gang” throughout his life. Gary is survived by his three children, Julia Federle (Cliff), Arnie Nelson (Fred Lloyd), Avery Railey (Curtis); grandchildren, Troy Federle (Audrey), Brian Federle, Elizabeth Railey, and Patrick Railey; great-grandson, Joseph Federle; sister, Mrs. Evelyn Kernachan; brother, Mr. Glenn Nelson; sister-in-law, Janice Greer (Jack), nieces, nephews and other family and friends. The family will hold a private memorial service. A celebration of his life for family and friends will be held between noon and 3:00 pm on Saturday, April 13, 2019 at the StoneRidge Condominiums Clubhouse, 2901 Grant St., Mobile, AL 36606. To plant a tree in memory of Gary Arnold Nelson, please visit our Tribute Store. "Email Address" would like to share the life celebration of Gary Arnold Nelson. Click on the "link" to go to share a favorite memory or leave a condolence message for the family.